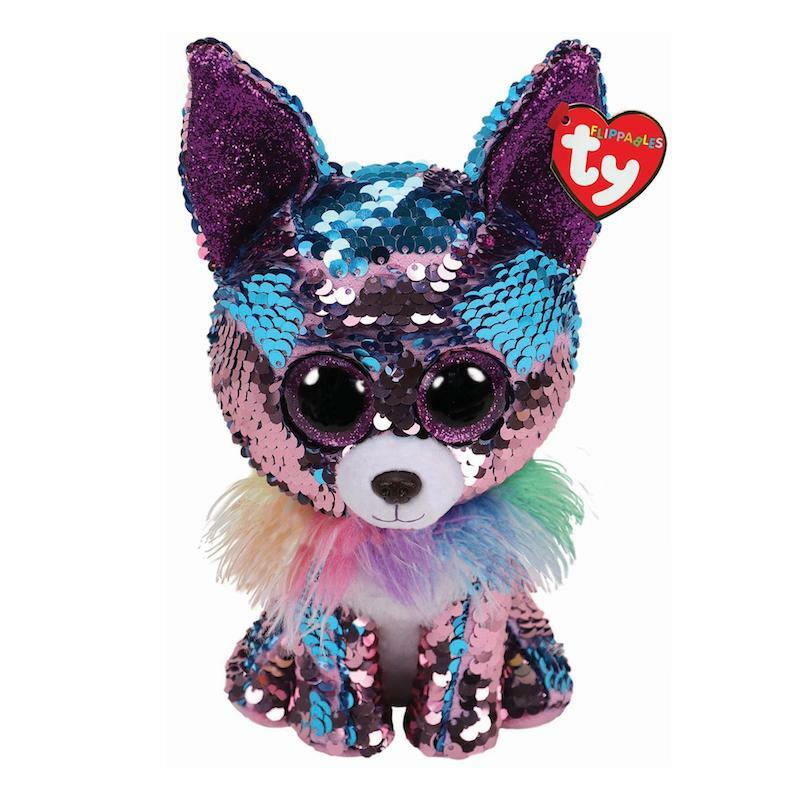 Yappy is a chihuahua covered in flippable sequins in pink and blue. She has large, glittery purple button eyes and a black nose on a white muzzle. She has a white belly and sparkly purple inside her large ears. Around her neck is rainbow coloured fluffy fur material. I’ll turn a bright purple for you! Yappy was released in June 2018. Her Birthday is on 12th May. There are three versions of Yappy. This medium 9″ Flippable, a small 6″ size and a large 16″ size.